Italian dishes are known to be the most famous dishes around the world. Italian plates of pasta are the most famous ones. 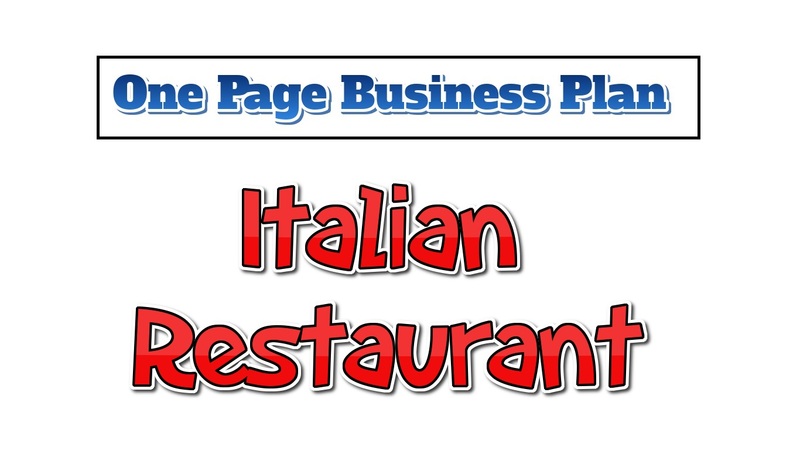 Italian restaurants are growing rapidly every year in the United States. The profit of this business is way higher compared to other restaurant business. The only one drawback of this business is, it requires a good amount of capital to start up. As I mentioned earlier, the only drawback of this business is it requires a huge amount of investment. An Italian restaurant demands a unique and relaxing dining experience- similar to dining at home. Hence, a big space is required. The ambiance and menu is also going to be expensive. If I crumple down all the necessities you will need rich amount to open up your very own Italian restaurant, you will need around $200,000-$500,000. 2. An Italian chef (if you can find one) or a normal chef with Italian food’s skill will do. 3. Equipment like a stove, air conditioner, oven etc. Choose your business location wisely. Opening your Italian restaurant near in a busy traffic area will get you noticed. You also have to keep in mind your restaurant has to be in an attractive area. Get licensed to establish your restaurant. Provide the best quality Italian food. Create an environment where each employee can work as a team member with clear goals and high profits. Combine the corporate marketing strategies to help you grow your business at a rapid rate. Maintain a food and labor cost consistent. Maintain an outstanding reputation. Maintain a friendly environment. Make yourself unique than all the other Italian restaurants, introduce a different menu which will attract customers to you. Market your restaurant as much as you can. You can open up a website of your restaurant, where your customers can order food online. This will get you fame. Give away brochures and pamphlets to the passers-by. You may arrange a grand opening, give away free food the first 50 customers. This way you will be attracting customers. Your target market is your customers. Maintain a friendly relationship to your old and new customers. Provide your customers with the best quality Italian food items. You must grab the Italian tourists who visit your country, hence you have to get yourself well-known around the world. A bachelor’s degree in hotel management is required for you to open your restaurant. Even though most articles or blogs say you must have a degree, in my opinion, this is an option. You can open your business by educating yourself by reading lots of books and blogs. You could also visit the lucrative restaurants, talk with the fellow owners, how they managed to open their own business. Ones you manage to establish an Italian restaurant there is no going back. You will get fame sooner or later. And also make the profit within the two years of your restaurant. A good business plan will always help you to get more profit. Your key to success is marketing your restaurant. A perfect location. And the best quality food items. You could also allow your customers to arrange birthday parties in your restaurant. Treat your employees right, you do not want to lose employees. So treat them equally. Your employees should love coming to work and working under you. Decorate your restaurant in a beautiful manner, so your customers love to come back over and over again. Put up music systems and attractive light in your restaurant. Italian restaurants make a huge amount, as per our studies, you might be earning $1,000,000-$1,800,000 per year.